Here he comes, walking down the street. And there he goes, into the library. Hey, hey, he's a Monkee, and he's not monkee-ing around. He's Davy Jones and he's here to do a book-signing at the Clearwater Countryside Public Library today. "I'm here to make people smile," said Jones. Not to mention scream and kiss -- he's seen it all. Because a large crowd is expected, Jan Nickols, community services manager for the Clearwater library system, said she has arranged for extra staff members and police officers to keep things calm and direct traffic. This is a library, after all. Nickols said she has brought in a lot of popular authors in the past, but "this is the first time we've brought in a former rock star, so this is new for us." From Broadway (he was nominated for a Tony award for playing the Artful Dodger in Oliver!) to television (the Monkees won an Emmy) to the library. Not at all. Jones engineers appearances at malls and libraries because "he loves to interact with people," said Debbie Sunseri, who works for Jones' Hercules Promotions mail order company in New Orleans. "We spent a lot of the summer in malls. You would not believe how crazy fans can get." Said Jones: "I'm a 54-year-old guy getting love letters from 12-year-olds." At personal appearances, he said, they'll be shaking at the knees and crying. "I say to myself, 'What is this? Why are they doing this?' ", he said. One word: reruns. 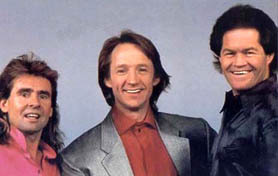 Episodes of The Monkees are aired regularly all over the world. To the people who watch, he's still 20. "Most people still think Peter, Micky and I still live in a beach house together," said Jones, who actually lives on a horse farm in Pennsylvania. For the new and old fans, Jones self-published his 394-page, $35 book called "Davy Jones: Daydream Believin", really an update on a previous book, They Made a Monkee Out of Me, and sells it via mail order and at book signings like the one he'll do in Clearwater. "It's just a true remembrance," said Jones from a hotel room in Fort Lauderdale last week. "It's an across-the-kitchen-table conversation with me." About 300 photos, most of Jones, some taken by Jones, peep out from the pages. There's Jones with Marcia Brady, with Liberace, with Danny Bonaduce, with Micky Mouse and with his family, friends and horses. Jones was in Fort Lauderdale getting ready to leave the next morning for a vacation in the Virgin Islands with Jessica, 19, one of his four daughters. He said he "hasn't made a big move" on the book, and hadn't done a book-signing in more than three months. In the book he covers his years growing up in Manchester, England, with his mother, Doris, who died when Jones was 14, his father, Harry, and his three sisters. He describes how he tried to become a jockey (his first love is horse racing) at 15, and how fate stepped in and carried him off to Broadway where he did a successful turn as the Artful Dodger. He winds his way through his teen idol Monkee years, and talks about his first marriage, his second marriage and his drug use. "Sure, I smoked pot in the '60s," he said. "We got rat-faced all the time. But that soon got tired and old." Now he gets high on horse racing, and plans focus on a career as a trainer. 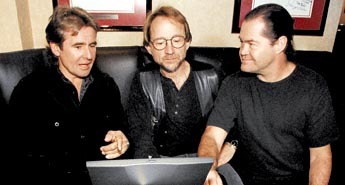 But that may have to wait: Jones, Micky Dolenz and Peter Tork plan to reunite in March for a 15-city tour called Monkee Mania Returns 2001. Mike Nesmith will sit this one out. That's okay with Jones. Heaven for him is on a stage or on the back of a horse. "(My life) has been very positive," he said. "I've been very lucky."